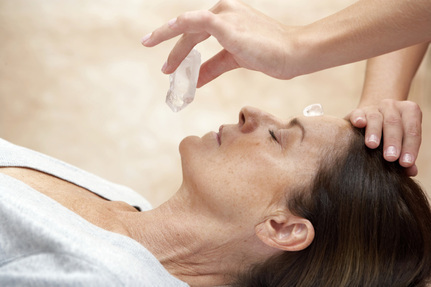 Crystal therapy works on the mind, body and spirit. 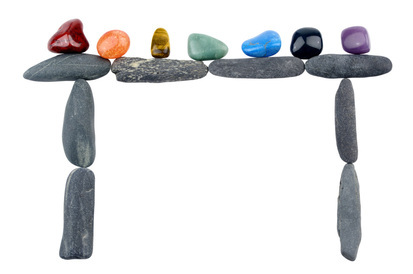 It focuses on rebalancing and energising the subtle energy system, meridians, chakras and aura. Crystals have a piezoelectric charge which interacts with the magnetic electrical field around the body. This charge re-tunes the magnetic field. They have different properties which give off different qualities. Each quality can stimulate different meridians or chakras. Crystals have been used by ancient civilisations for thousands of years. The Egyptians, Tibetans, Mayans and Native Americans all acknowledged them for having healing properties, as well as admiring them for ornamental value. Today crystals are an integrated part of our lives and used in everyday technology such as mobile phones and computers. They are also within us like calcium, fluoride and salt. During the 1970s crystal therapy increased in popularity. ﻿system for ones well being. After the treatment I will discuss with the client any energy changes and give advice on after care. 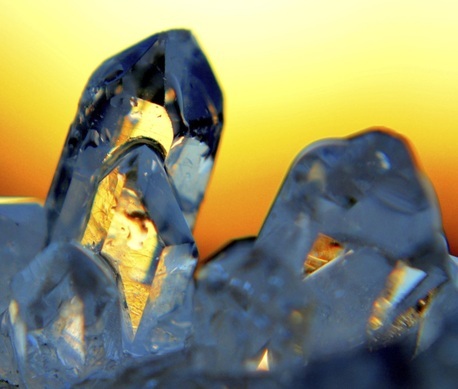 What are the Benefits of Crystal Therapy? Stress levels and anxiety can be reduced as it aids deep relaxation. A fast and effective way to balance the subtle energy system. Assists positive mental thought enabling the person to move forward with issues. Calms the heart and mind. It can aid study and concentration. It can assist in relieving headaches and migraines. A useful aid for personal spiritual development. Enhances other complimentary and beauty therapies like massage, reflexology and reiki. Who can enjoy Crystal Therapy? Crystal therapy is safe for most people. However there are some contraindications that could cause it to be non therapeutic. I will complete a consultation form to ensure that it is safe for you. Contraindications: epilepsy, pacemakers, pregnancy, high/ low blood pressure, certain mental health conditions and deep depression.